Puerto Escondido Surf School - Puerto Escondido, Oaxaca Guests overall rating: ★★★★★ 5 based on 4 reviews. Perfectly located near central town of lovely Puerto Escondido, distance walking to our Surf Houses and the internationally renowned beaches. By day and night, a busy cafe, restaurant and bar scene brings live music and a freewheeling, unpretentious cozy life. All material learning and first-class equipment needed for Spanish and Surf training has been specifically designed and produced from our in-house expertise and provided to you throughout the program! From workbooks and worksheets for the educational program to all-sizes adapted surfboards and rash guards for surfers. All students booking a 1 week all-included package or more, we’ll benefit from free of cost : Fitness for Surfing enjoyable sessions, Spanish Culture excursions and personalized advanced surfing coach training and photo and video review to improve more technical skills required for advanced surfers. Wide-range of outdoor activities and excursions are proposed to our hosts according to their interest: surf trips, snorkel, dive, swim, tan, and go sport fishing or look for turtles, dolphins and whales. Mexican cooking lessons, dance classes… We’ll help you to maximize your vacation! All packages include weekly accommodation in our Surf Houses, in fully equipped suites or private apartments with all utilities included. Both Surf Houses are greatly located near the center and at a walking distance from the school, the beach and cozy bars and restaurants! Drinkable water, free coffee, clean sheets and towels + cleaning service, swimming pool, common area and terrace. Do you need anything else? Do not worry, wifi is included too! Lodging 3 great suites and 6 excellent private apartments, a swimming pool and the common area creates a nice, friendly and warm atmosphere. Whether you want to meet other travellers with the same interests and programs, or you rather enjoy your privacy, there is room for you at La Barca! Named after magnificent mango trees in the common area, Mangos Surf House host 4 beautiful and cozy private apartments fully equipped and with private terrace to make feel at home and surrounded by real surfer ambience! Whether you have never stepped on a surf board before, or you are an advance surfer looking for analysis and coaching guidance to get into the next level, the excellent Surf program will cover your expectations. Fully equipped suite or private apartment with all utilities including wifi, cleaning service, swimming pool, common area and terrace. 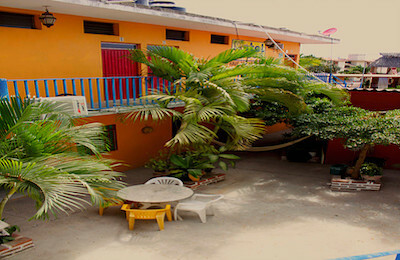 Our Surf Houses are near the center and at a walking distance from the school, the beach and cozy bars and restaurants. 2 hours of semi-private tuition (up to 2 students per instructor) covering both theory and practice and on an ample schedule every day of the week from Monday to Saturday. Surf lessons are conducted by professional and experienced instructors, both in English and Spanish, and for all levels and ages. The weekly package includes 5 surf lessons. Hand and heart made Roger Ramirez surf boards and a school rash guard is included during all your lessons. All material is sponsored by professional surf brand Volcom. Transportation from the school to the beach with the best-learning conditions of the day is also included! At the end of each week, the School will take a photographer to record the morning surf session. All of the material captured will be used for the Friday coaching class and given, free of cost, to the each student. You just need to bring a USB memory card!. Every Friday evening students and instructors will gather at La Barca Surf House to watch the pictures and videos of the previous day. Surf instructors will make the proper corrections to each student and give useful tips in order to keep progressing in their surfing skills. Students will participate in a group review in order to benefit from the best orientation and analysis about their evolution as a surfer. A school diploma level stating your board size, visited spots, gained skills and final level attained will close-up your program and certify your progress. Our complete Surf & Spanish program is designed to combine the experience of Mexican culture and language, discover the magnificent beaches and learn the most popular and fun activity of Puerto Escondido: surfing! Fully equipped suite or private apartment with all utilities including wifi, cleaning service, swimming pool, common area and terrace in one of our Surf Houses. 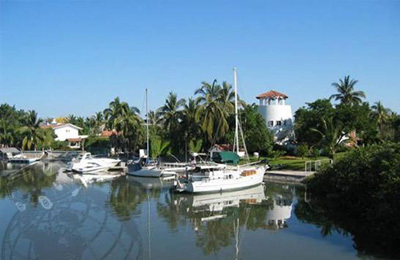 Both houses are very well located near the School, the beach, the center and at a walking distance from cozy bars and restaurants. Learn more about our accommodation options here. Private and semi-private lessons, from 1.5 or 3 hours of tuition per day (Regular or Intensive course) on an ample schedule every day of the week from Monday to Friday. Teachers are certified and native Spanish speakers. Learn more about our schooling methods here. 2 hours of semi-private tuition (up to 2 students per instructor) covering both theory and practice and on an ample schedule every day of the week from Monday to Saturday. Surf lessons are conducted by professional and experienced instructors, both in English and Spanish, and for all levels and ages. The weekly package includes 5 surf lessons. Learn more about our crew here. Every Friday evening the surf group will gather at La Barca Surf House to review the material captured from the photo session. The instructors will correct technique and give you useful tips to keep progressing in your surfing skills. All students will benefit from a group review and receive the best orientation and analysis about their evolution as a surfer. Find out more about our coach sessions here. Specifically designed to enhance your surfing performance and gain general fitness, classes are conducted by a professional instructor and adapted to all levels and ages. Every Thursday evening the School will take you on a different adventure! The “Surprise me event” consists on an additional free of cost activity, such as city tours and cultural excursions to explore the culture in real environments. These activities are offered to all students enrolled in the Spanish program. Learn more about these activities here. Hand and heart made Roger Ramirez surf boards, rash guards and tropical waxes are included during all your lessons. All material is sponsored by professional surf brand Volcom. Transportation from the school to the best-learning conditions beach of the day is also included! Find out about our surf boards here. A school diploma level stating the number of lessons, hours and level attained for Spanish and Surf will close-up your program and certify your progress. 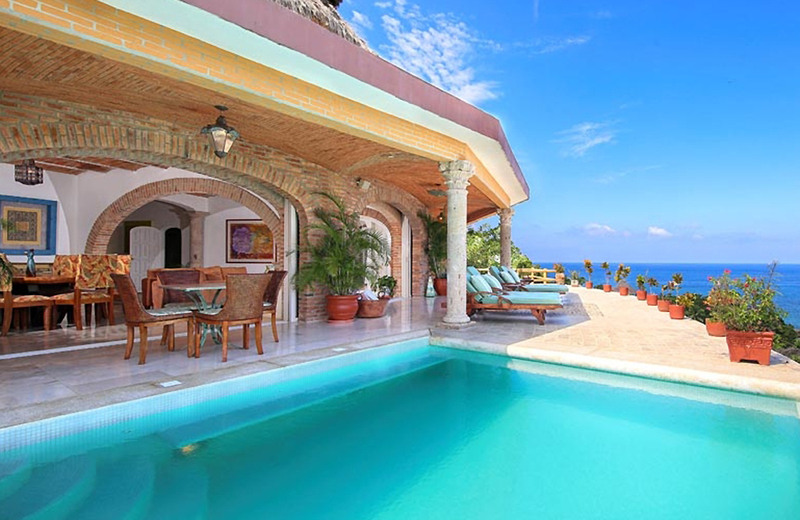 Puerto Escondido is a port town and resort on Mexico’s Pacific coast in the state of Oaxaca. It’s known for its many beaches and buzzing nightlife. The town’s central Principal Beach is lined with palm trees and thatch-roofed bars. Busy Zicatela Beach is renowned for its Mexican Pipeline surf break. Neighboring La Punta Beach has smaller waves. Carrizalillo Beach is set in a cove backed by steep cliffs. A magnet for surfers, would-be surfers and every other kind of beach lover, this ‘Hidden Port’ is one of the most enjoyable spots on Mexico’s Pacific coast. By day, you can surf, snorkel, dive, swim, tan, go sportfishing or look for turtles, dolphins and whales. By night, a busy cafe, restaurant and bar scene brings live music and a freewheeling, unpretentious nightlife. Development here has happened gradually over several decades and remained on a human scale, and part of Puerto’s charm is that it remains very much a fishing port and market town as well as a tourist destination. The heart of town rises above the small Bahía Principal. The Carretera Costera (Hwy 200) runs across the hill above the bay, dividing the upper town – where buses arrive and most locals live and work – from the lower, more touristic part. The lower town’s main strip, part of Av Pérez Gasga, is known as El Adoquín (Spanish for ‘paving stone’). The hub of the surf and traveler scene is Playa Zicatela, stretching 3km southeast from Bahía Principal to Punta Zicatela (La Punta). Rinconada, a residential area above Playa Carrizalillo, west of the center, has further places to stay, and good restaurants and services. Surf School is located in the heart of Rinconada, a beautiful small and chilled out area in the north part of town. We are next to playa Carrizalillo, the best beach for swimming and learning how to surf. The climate here is tropical. The summers are much rainier than the winters in Puerto Escondido. This climate is considered to be Aw according to the Köppen-Geiger climate classification. The average annual temperature in Puerto Escondido is 27.1 °C. In a year, the average rainfall is 1363 mm. Most of European countries, U.S, Canada, Australia, New Zealand, Japan citizens do not require a visa to enter Mexico. Tourists and business visitors can stay in Mexico for up to 180 days. Visitors in transit can stay for up to 30 days. All travellers going to Mexico should get vaccinated for hepatitis A and typhoid. Depending on what your plans are (trekking, etc. ), you may also need additional immunisation for rabies and tetanus – make sure you speak to a travel nurse at least six weeks before your trip to discuss your needs. The closest Airport is Puerto Escondido Airport (PXM). You fly to Mexico City or Oaxaca. Flights from all major South America and North America cities. If you area travelling by bus, we have 2 main bus stations. One coming from the norther destinations in Mexico called “Estacion Central de Autobuses” and the other one coming from the southern part of Mexico called “ADO bus station”. From both of them, you can easily take a taxi and come straight to Surf School. It will only be a 5 – 10 minutes drive and the cost for a taxi it´s about 2 or 3 USD. Whether you have never stepped on a surfboard before, or you are an advanced surfer looking for analysis and coaching guidance to get into the next level, the excellent Surf program will cover your expectations. "We enjoyed our time with the Team a lot! We booked the package for couples and enjoyed our Surf and Spanish lessons. Teachers are really nice. There are a lot of extra activities offered to keep you busy. Thank you for a great time!" "My time in Puerto Escondido at the camp honestly exceeded my expectations in every area. I was a little nervous about taking surf lessons as I had just aggravated an old neck injury prior to leaving for Mexico but I have to say that all the staff and instructors were super accommodating about this and also about the fact that I'm not a fan of big waves. Haha! I don't know many places in the world where there is only 2 students to every surf instructor. The package deals are great value for money. Not only do you receive professional instruction but you get to surf some quality waves! I seriously loved my surf lessons and was totally addicted after the first week." "I genuinely loved my experience in Puerto Escondido and with the camp. I am not the most athletic person or even the most ballsy person and by the end of 10 lessons, I felt confident in the ocean and waves (and I was bonafide terrified of them at the beginning) and was able to surf a heck of a lot better than I ever expected to be able to. " "My experience was beyond my expectations. The teachers, instructors and staff were all friendly and really made you feel like part of the "family". I was lucky enough to spend Christmas with the team and it was so nice to be overseas but spend it with such a welcoming and warm bunch of people. The Spanish teachers and surf instructors were professional and really wanted to see the students advance which was great. My surfing improved dramatically and my Spanish also. I couldnt reccommend it enough, anyone who gets to spend time in Puerto with the camp wont regret it!"